A good way to take Vitamin C and have it absorb. 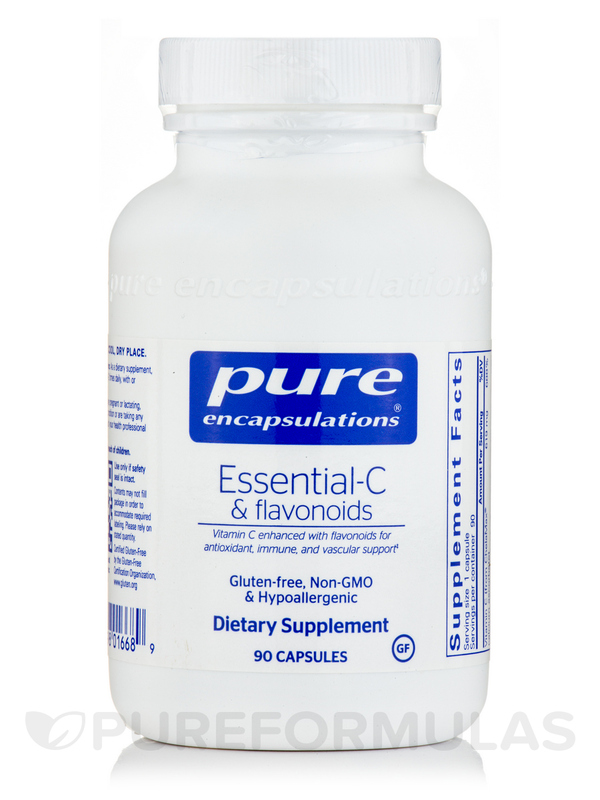 My naturopath only recommends Ester-C & Flavonoids by Pure Encapsulations I've been using it for some time now. 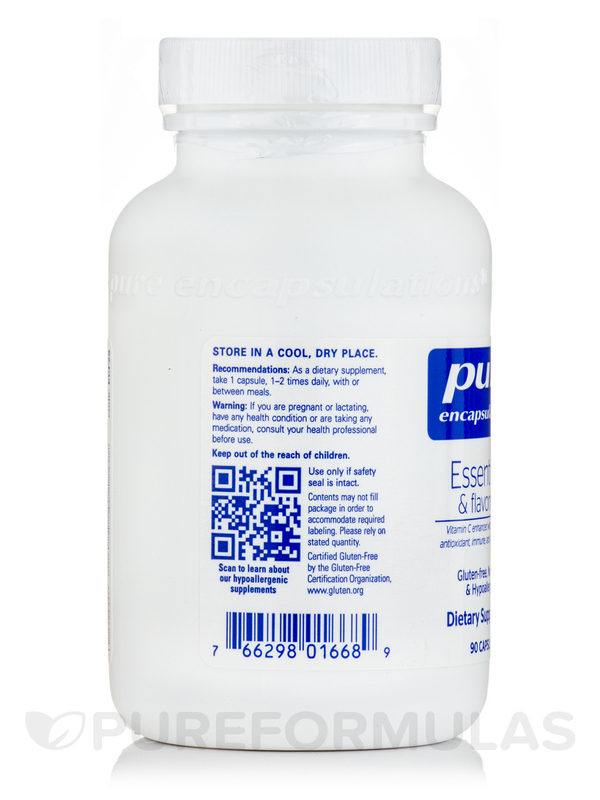 Ester-C & Flavonoids by Pure Encapsulations had came recommended to me and I love how gentle it is on my stomach. It works great! You need to consume vitamin C on a daily basis‚ because it's a water-soluble vitamin that your body is unable to store for long periods of time. While foods like citrus fruits (oranges‚ etc. )‚ kiwi‚ broccoli‚ cauliflower‚ tomatoes‚ and other produce are good sources‚ their vitamin C content may be largely degraded during cooking. Therefore‚ a supplement such as Pure Encapsulations' Ester-C & Flavonoids is a convenient way to ensure that you always have sufficient levels of this nutrient. Vitamin C is important because it provides antioxidant support. These antioxidants may increase the number of white blood cells present in the body. 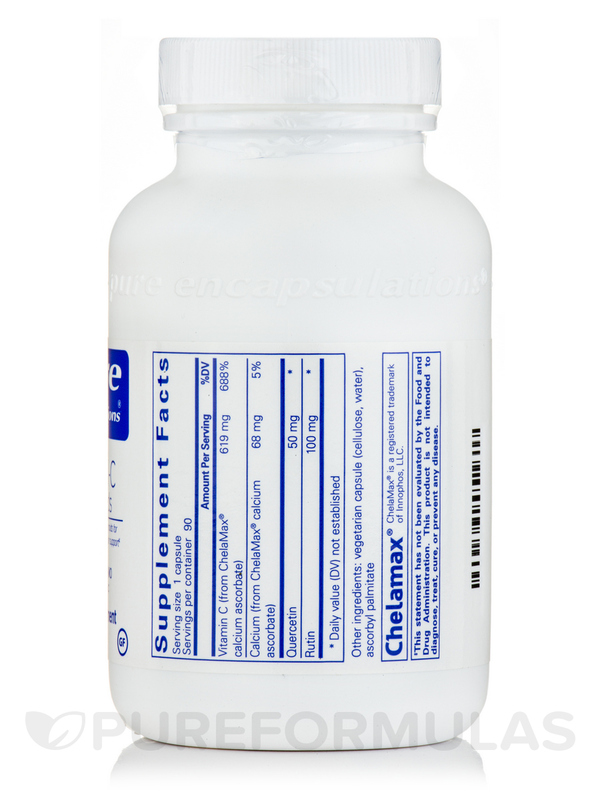 In addition‚ this supplement also contains several bioflavonoids. Pomegranate extract‚ quercetin‚ and rutin work with the vitamin in order to scavenge and fight off potentially harmful free radicals‚ while also maintaining healthy histamine release (histamine is a compound responsible for regulating immune response‚ serving as a neurotransmitter‚ and supporting the functioning of the gut) and blood vessels. Ester-C is a unique form of vitamin C that might be absorbed and utilized by the body more easily than normal kinds; it may also stay in your system for longer periods of time‚ allowing it to further benefit cellular health. It's natural and non-acidic‚ and has been manufactured through a water-based process. The flavonoids in this supplement are derived from herbs such as the Japanese pagoda tree and fava danta tree. Take at least one capsule daily‚ either with or between meals. 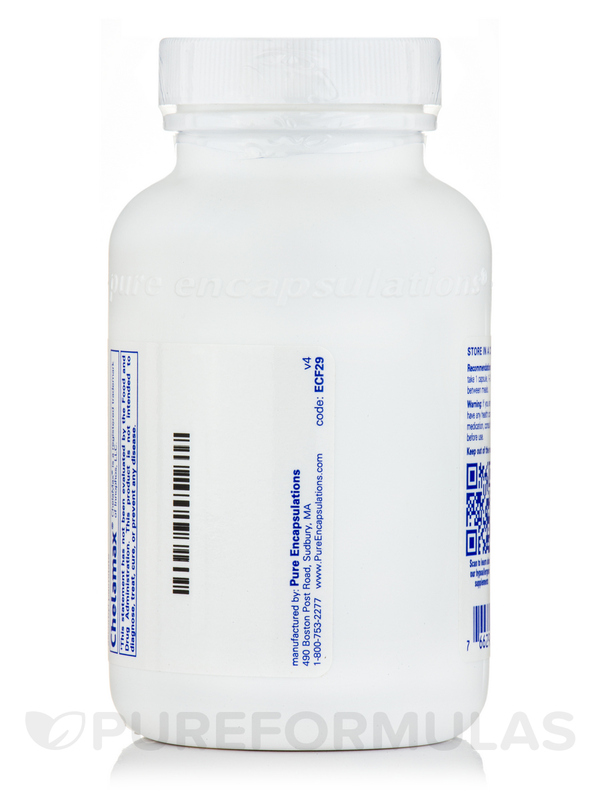 At the recommended dosage‚ each 90-capsule bottle of Ester-C & Flavonoids by Pure Encapsulations should last for about three months. As a dietary supplement‚ take 1 capsules‚ 1-2 times daily‚ with or between meals. I was looking for a vitamin C without harsh chemical fillers and through research I discovered pure encapsulations. This is one of the best! I was able to stay clear of a nasty cold that my husband had when I started taking them on a regular basis. The Flavonoids make them extra special. Pure Encapsulations offers great products! I read it is beneficial to add Ester -C to your supplements if you also take any statin medication. The Ester C also helps to lower cholesterol. I was recommended Ester-C & Flavonoids by Pure Encapsulations during flu season to strength inmune system. His type of vitamin C is easier on the stomach. Great product! Purest formula out there. I've been taking Ester-C & Flavonoids by Pure Encapsulations for about a month and it has been easy on my stomach. No pain whatsoever. I will continue taking it for a while longer before a temporary break. I'm pleased with this Ester-C & Flavonoids by Pure Encapsulations product, which I ordered to help stabilize my Mast Cell Activation Syndrome. 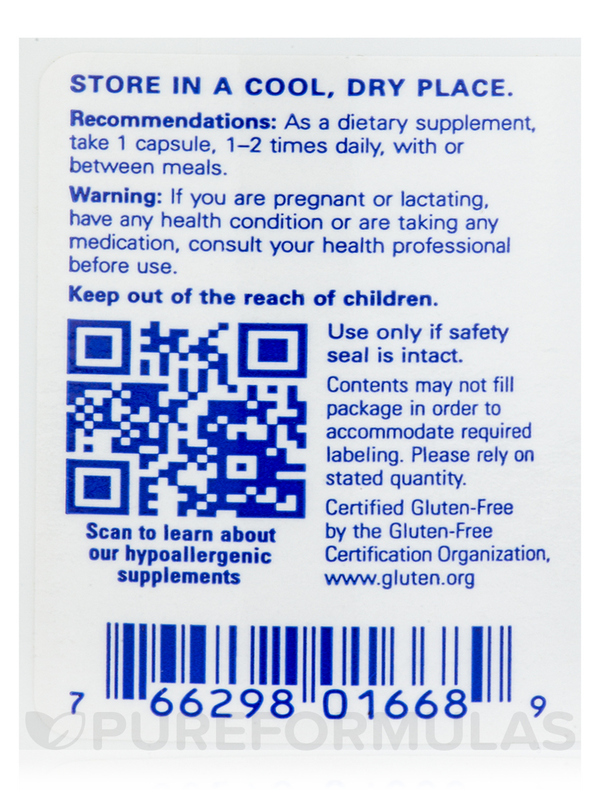 I've had trouble with with allergic responses to many of the antihistamines so have been using supplements as well. 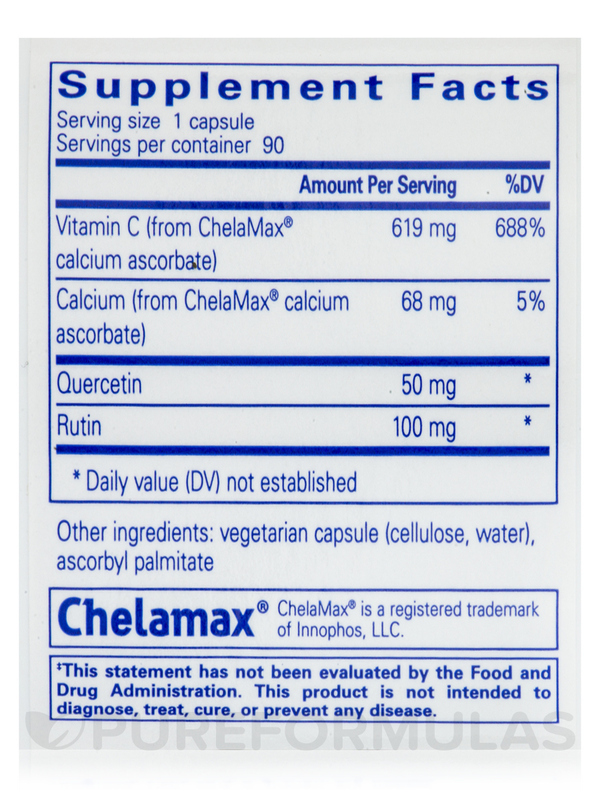 Love the extra quercitin & rutin! Love that I've had no allergic reaction to this and other Pure Encapsulation products. I've taken other Ester-C products and Pure Encapsulation brand is by far the best quality. It can be hard to find products that aren't loaded with fillers and other junk ingredients. I can feel the difference with Ester-C & Flavonoids especially when I added a night dose to my routine. I noticed my sleep quality improved as did my energy levels. I also did not experience any stomach upset. I will definitely reorder and recommend this product to anyone looking for Ester-C.
Quality ingredients that deliver results. Hello Larry,Thank you for choosing PureFormulas.com.The product is corn fermented, so corn is used to bring out the ascorbic acid but later the corn is filtered out. Hope you have a happy and healthy day.